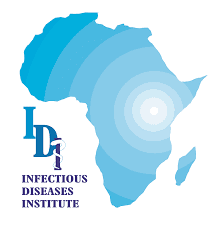 The Infectious Diseases Institute (IDI) is an international non-profit organization which is a partnership of infectious diseases and public health specialists. The overall objective of the IDI is to strengthen health systems with strong emphasis on Infectious Diseases, through Research and Capacity Development. IDI has five operational areas through which it works to achieve its mission: Prevention, Care and Treatment; Training, Research and Laboratory services (provided through a partnership with the Makerere University - John Hopkins University Core Lab) and Outreach. Job Summary: The Locum Driver assists in providing safe and reliable transportation for staff, visitors and materials, keeps the project vehicle/s in good mechanical and functional condition, ensures compliance with all vehicle-related legal and institutional /management requirements. To transport Institute materials and supplies to various destinations as required by authorized staff on Institute business and keep the Institute vehicle in good mechanical and functional condition including but not confined to regular fueling, servicing and cleaning of the interior and exterior. To perform regular preventive maintenance and minor repairs where possible and notify the Project administrator of any major car repairs necessary and to assist in arranging and overseeing/supervising such repairs. To ensure that all required documentation for administrative use such as mileage, fuel usage and trip authorization tracking information is kept up to date at all times in the prescribed manner; and ensure that all legal, institutional and municipal requirements and dues are met in good time and/or regularly renewed e.g. Third party and Comprehensive Insurance, Parking Fees, Registration and Licenses etc. The Infectious Diseases Institute (IDI) Locum Driver job placement must hold a Uganda Certificate of Education (‘O’ level) and Driver’s license Class CM and a higher class will be added advantage. A copy of LC 1 letter as proof of residence for that particular region. Experience in working with high capacity and busy organization with frequent long distance travels. Experience with light office duties such as filing and photocopying is an added advantage. P.O. Box 22418, Kampala, Uganda.